Centra 29 In. W Wall Cabinet in White Simplicity and elegance combine in the perfect lines of the Centra wall cabinet by the Wyndham Collection. If cutting-edge contemporary design is your style then the Centra is for you - modern, chic and built to last a lifetime. Featuring soft close door hinges you'll never hear a noisy door again. Centra 29 In. 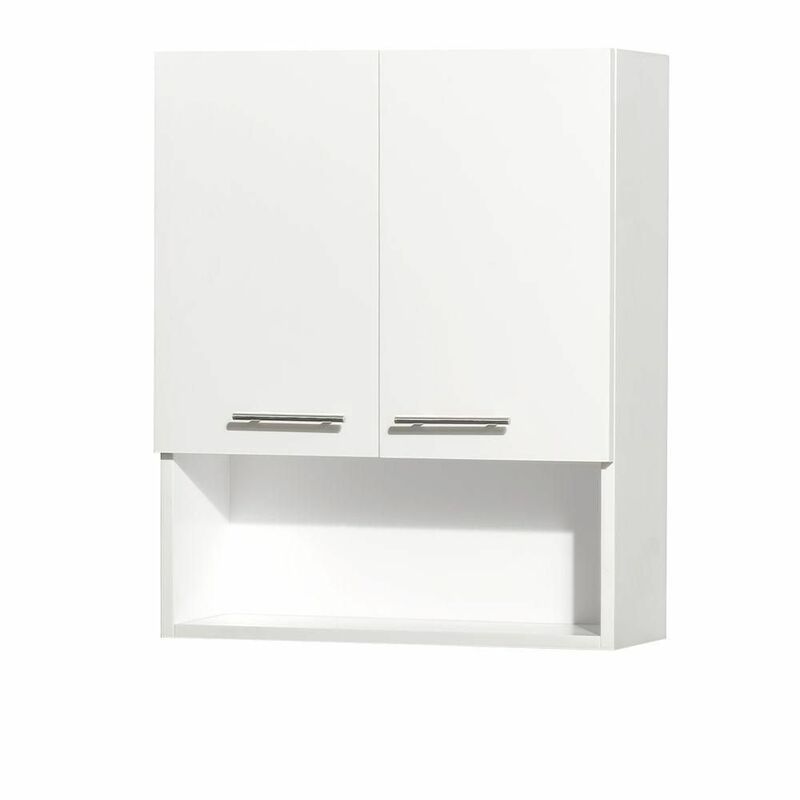 W Wall Cabinet in White is rated 3.3 out of 5 by 4. Rated 4 out of 5 by Valarie from Easy to assemble and mount to wall! I did it... Easy to assemble and mount to wall! I did it myself! Rated 3 out of 5 by Natalia from It's came assembled however my 1st order of Centra 24" cabinetit had defective shelf inside si h... It's came assembled however my 1st order of Centra 24" cabinetit had defective shelf inside si had to return it and get the new one, the new one came in good condition, also there are no holes for 2 handles so you can make your own decision where to put it, and it does take a time to measure and figure them out correctly, so be aware when you orde. Nice and modern design, but to pricey for what it is. Rated 2 out of 5 by Marty from Did not have pr-drilled holes for handles as shown!... Did not have pr-drilled holes for handles as shown!